Activities are planned to be educational, challenging but also with a lot of fun. Programs focus on expanding the vision of our members with real word projects and experiences. Everyone is welcomed! Members can join the educational program and/or work on project to improve leadership skills and give help to others. Support our efforts and help give children more opportunities. We can't provide more help to our children without your support. Thank you for your support! 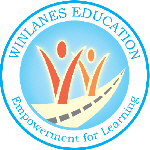 Please send email to info@winlanes.com if you are interested in supporting us.